Discussion in 'Classifieds' started by Sadeye, Feb 12, 2019. 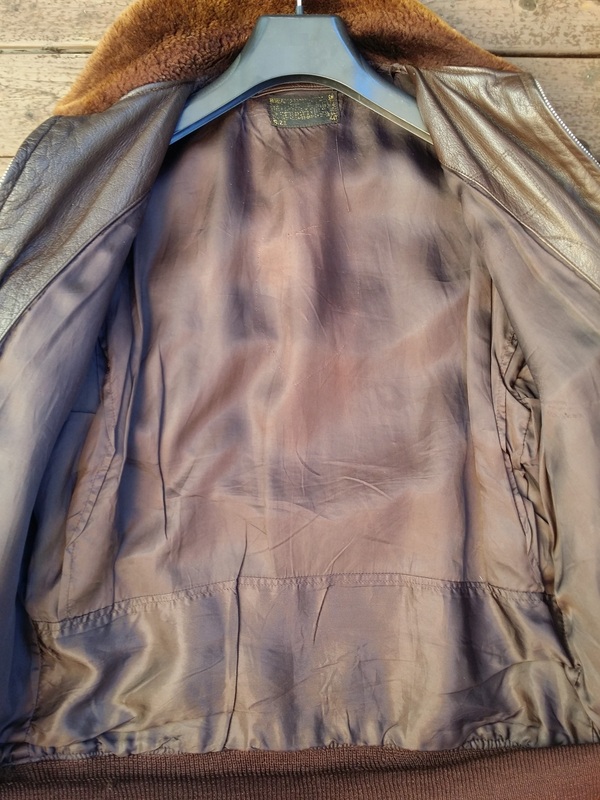 I'm looking for a piece of purplish brown lining fabric used in some of the earlier G-1 jackets. The piece should be about the size of a computer keyboard, but even smaller strips are of interest. If you happen to have pieces of the fabric or an early G-1 that's beyond repair, please PM me. Have you talked to Stuart at Lost Worlds? I had a vintage LW Foster G1 from the late 1950s relined and I bought the replacement rayon liner from him. It is top notch stuff, the same as he uses in his G1 and the price was quite reasonable. Thanks for the tip. I sent them the pic and asked if they had the correct fabric. The answer was (in its entirety): "our rayon is more brown." So still looking for the purplish brown lining fabric. All suggestions welcome. I am not trying to steer you towards it, rather I applied your quest to find the perfect lighting that matches the original. Just wanted to give you an idea of how mine came out with this lining. Good luck!